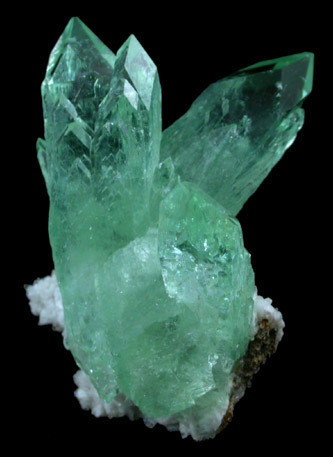 Description: Four transparent green apophyllite crystals with steep pyramidal terminations and minor quartz matrix in the base. 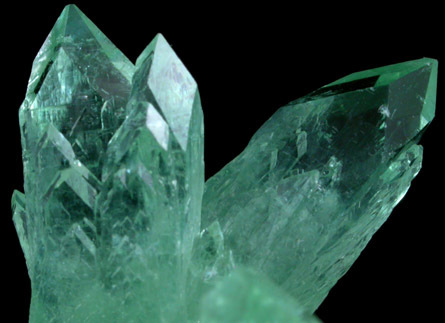 A fifth crystal on the bottom corner is incomplete. 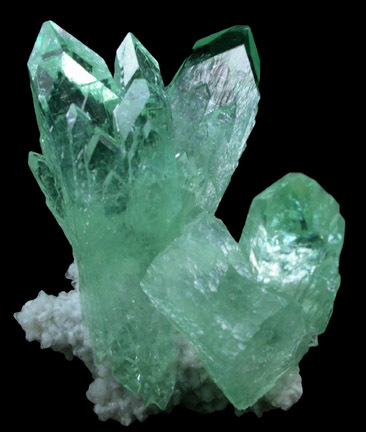 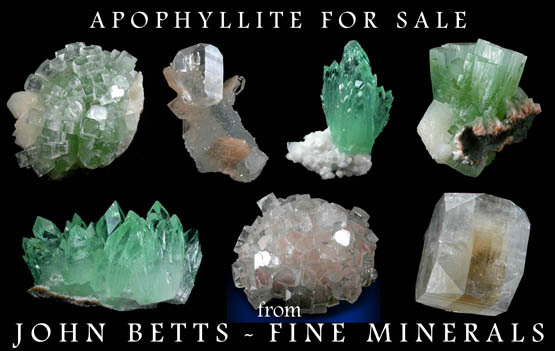 These bright green apophyllite crystals are rare and highly sought-after.